As personal computer (PC) sales begin to stabilize, the battles for users’ laps are intensifying, with Apple and Microsoft competing for the ultra light weight title. A quick exploration on Google Trends with the terms “MacBook Air” and “Surface Pro” reveal that since its release in October of 2012, interest for Microsoft’s Surface Pro has grown significantly, with it almost surpassing the MacBook Air in September 2014. The MacBook Air has been the reigning champion in the ultra light weight portable PC division for some time. With its thin clam shape, ultra light, ultra portable design it has been the envy of many PC manufacturers, who have followed suit and made their own ultrabooks — a term used in the computer industry to describe such a design. Microsoft was no exception. 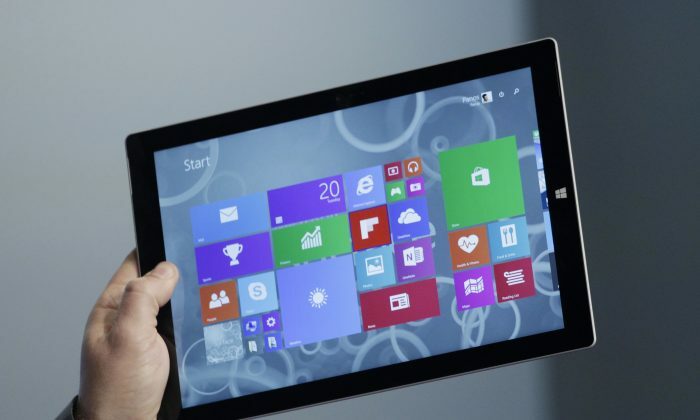 It entered the PC hardware business in late 2012 with the release of the Surface Pro. Seeking to replace both tablets and ultrabooks, devices which many believe have lost some market share too along with Windows PCs, Microsoft took the hybrid approach. Allowing for the Surface Pro’s keyboard to detach from the body, and a stylus input device are two of the main features which distinguishes it from the MacBook Air. It is essentially a big tablet with a removable keyboard. Comparison between the two entry models for the MacBook Air and Surface Pro 3. Comparison between the two higher end models. The Surface prices does not include the Type Cover, which is $129.99, and comes in a variety of colors. There are also a variety of configurations for both devices between the entry and higher end models. Besides this, the Surface does come with the additional rear facing camera, and the kind of sensors you typically find in a tablet or phone: touch screen, ambient light sensor, accelerometer, gyroscope and magnetometer. Rumor has it that Apple will be releasing a large tablet code-named iPad Pro some time next year, and whether it will run Apple’s mobile operating system or Apple’s desktop operating system is debatable. With the release of Windows 10 in the spring of 2015, Microsoft might be able to put the finishing touches on a fully unified software and hardware package, and displace the MacBook Air.